SHOT OF THE DAY: Impressive Chlorophyll shot showing a push of water about 90 miles west of San Francisco. Water temp is 66 degrees on the warm (blue) side. We're not sure what’s hanging out on that edge but it sure looks fishy! 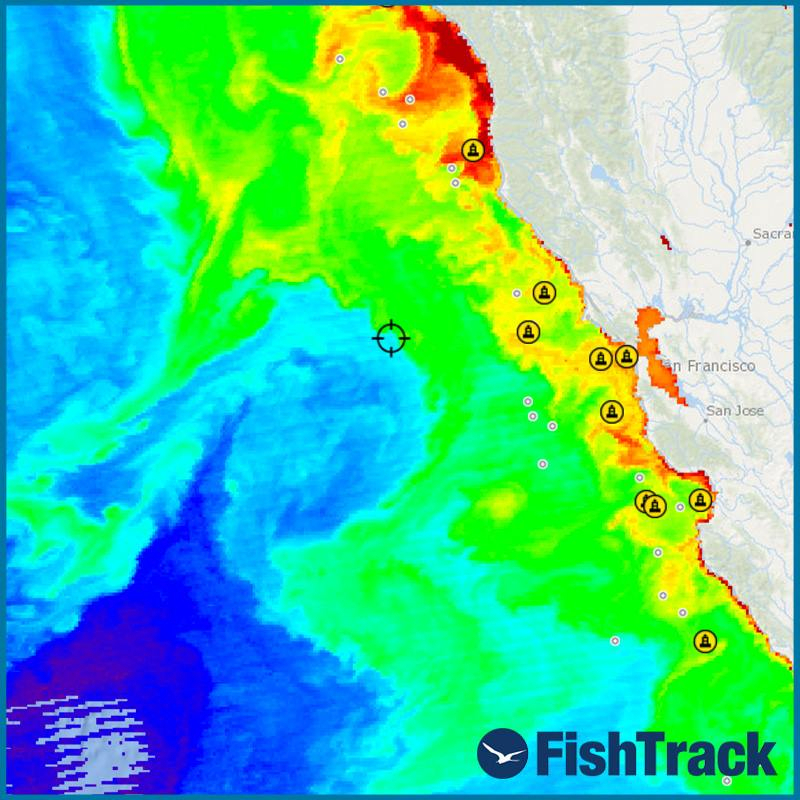 FishTrack provides everything you need to find fish. - Locate temp breaks holding baitfish and large predators with the latest SST imagery. - Find clear blue water carrying pelagic fish with accurate Chlorophyll and True Color imagery. 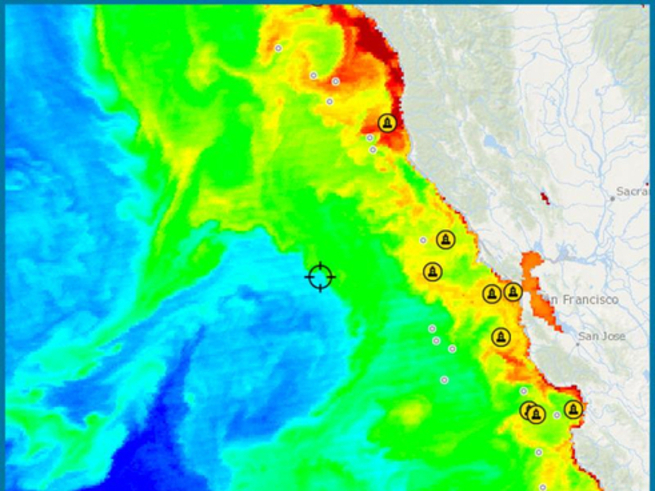 - Overlay altimetry, bathymetry and ocean currents data to pinpoint edges and eddies. - Get 7-day marine weather forecasts to plan a safe trip offshore. Click 'Fishing Charts' above to get started!